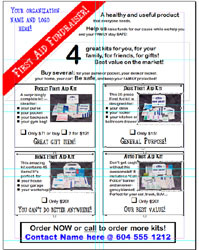 FAC First Aid has created an outstanding program for Fundraising organizations! 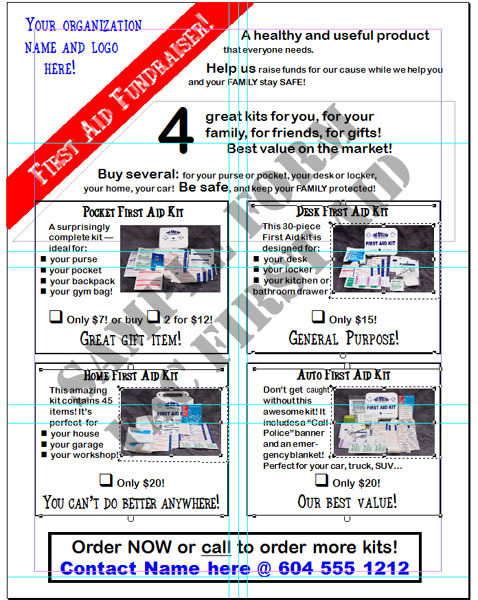 First Aid kits make ideal fundraising products: much better than candy bars or cookies. These are useful products that everyone needs, with a perceived (and actual) value. This program is designed to make it easy to fulfill your goals. 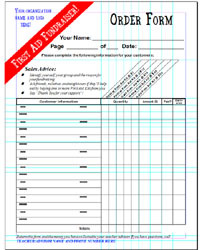 All the elements are included: Flyers, order forms, and best of all, an array of fine products! We treat legitimate fundraising organizations like wholesalers: generally you pay about HALF of the suggested resale price for these kits: it's easy to reach your goals with fine products and profit margins like these! 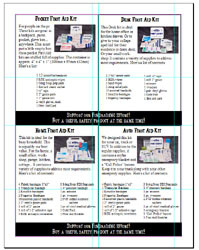 Our program is comprised of three (3) different kits: a small pocket kit, a a household and an automotive kit. They range from $7 retail to $20 retail. And now we have a new Doggie kit! Look at details via the "Kit Contents" button, then use your browser "back" button to come back here. If you want, we can even imprint your own organization name and logo on the kits instead of ours! Click Here for more information. How does it work? Wouldn't it be great to offer your friends and relatives something useful when you fundraise? Your fundraisers will typically call on potential customers or see them at events. 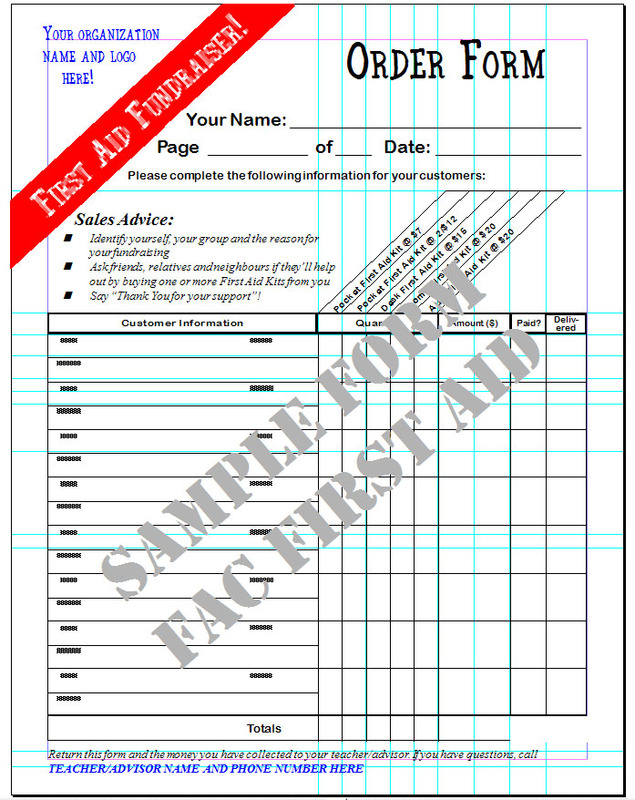 They will have flyers with their names and details of the products, and order forms (they may have samples as well). You accumulate orders, and send them in to us. We charge our flat rate pricing for shipping ($10/shipment in Ontario, for example), regardless of how many kits are in the order!) and will ship within about a week. 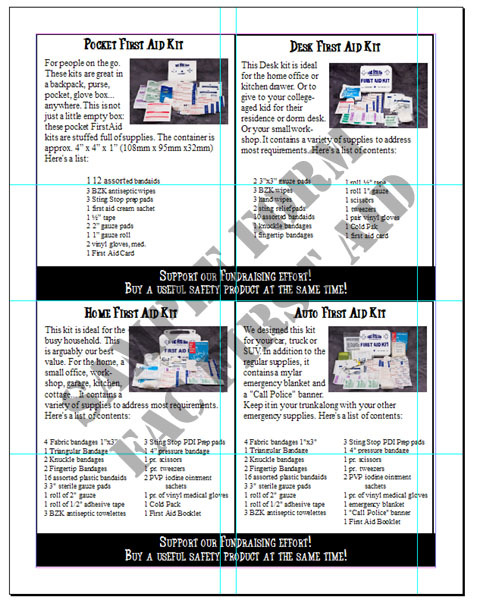 Get started today by ordering one or more sample packs: you get one each of our three fundraising kits (pocket, auto and home), and we'll email you some sample customizable order forms and flyers. Click "Add to Cart" to order your sample pack today! We'll pay the shipping and taxes (select "Other" shipping on the final shopping cart page)! 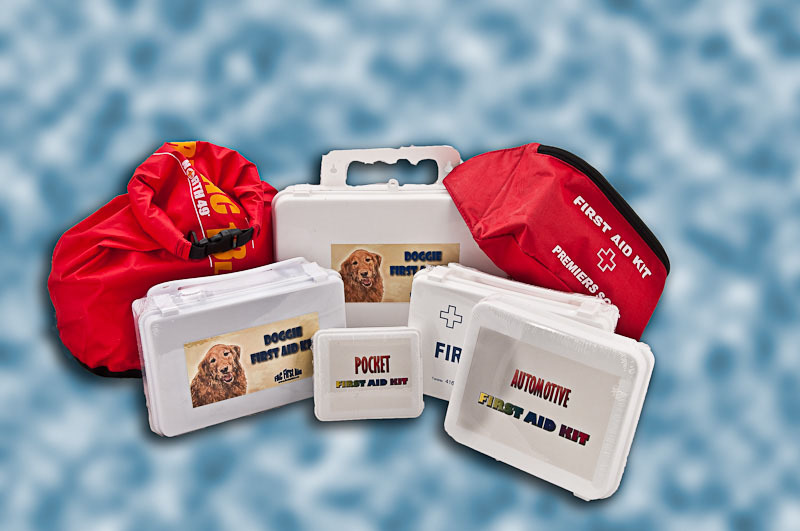 Upgrade your sample pack by adding our new Doggie kit! Guaranteed to be a big seller! eMail FAC and give us some idea about your fundraising campaign and we'll send you back details including our outstanding fundraiser cost price structure!